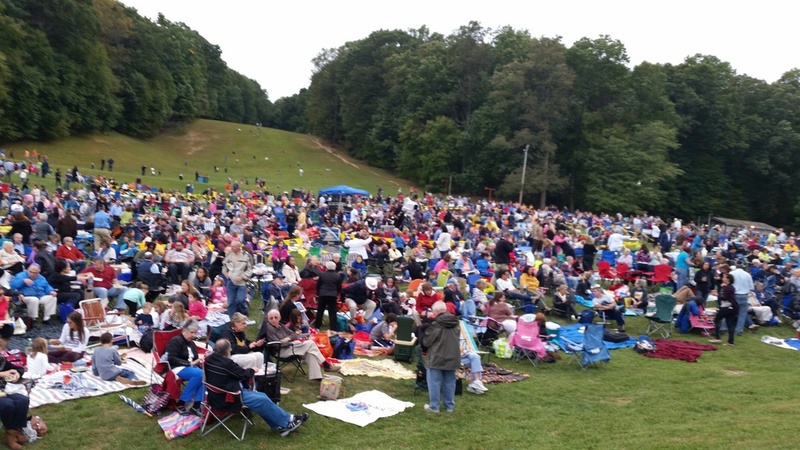 Baltimore Hebrew Congregation invites you to Rosh Hashanah Under the Stars on Sunday, September 9 at Oregon Ridge Park, 13555 Beaver Dam Road, Cockeysville, MD 21030. To download directions, click here. Set up your picnic, blanket and lawn chairs. Led by Baltimore Hebrew Congregation's Rabbi Sachs-Kohen and Cantor Ellerin. No outside solicitation. No pets please. Rosh Hashanah Under the Stars is bring-your-own-dining. Click here to view the participating caterers that would be delighted to prepare your picnic. There will be no print prayerbook. Prayers will be displayed on two large screens or can be downloaded in advance to your smartphone or tablet. Check back to download the service closer to September. American Sign Language interpreting provided. Rosh Hashanah Under the Stars is sponsored in part by the John J. Leidy Foundation and the Herbert Bearman Foundation. Help ensure Rosh Hashanah Under the Stars continues. Donate to BHC's Rosh Hashanah Under the Stars. If you are a BHC member, click here. If you are a non-member, click here. 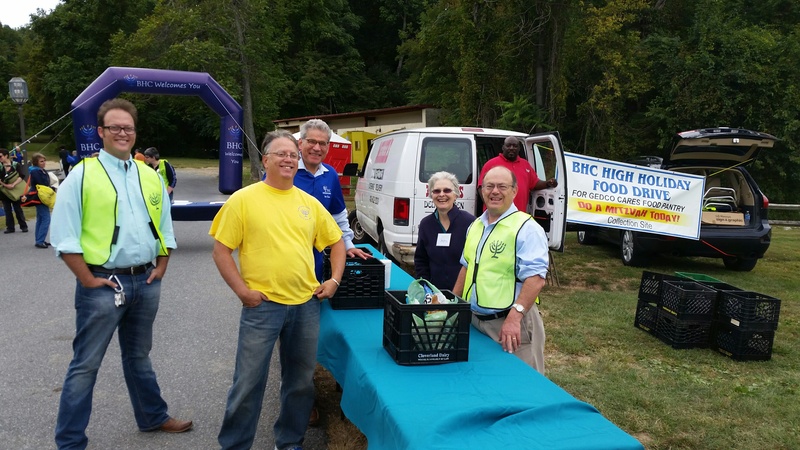 BHC supports our community through GEDCO Cares Food Pantry. Please bring a non-perishable food item to Rosh Hashanah Under the Stars. Look for the GEDCO Cares truck as you park your car. What is Rosh Hashanah Under the Stars? 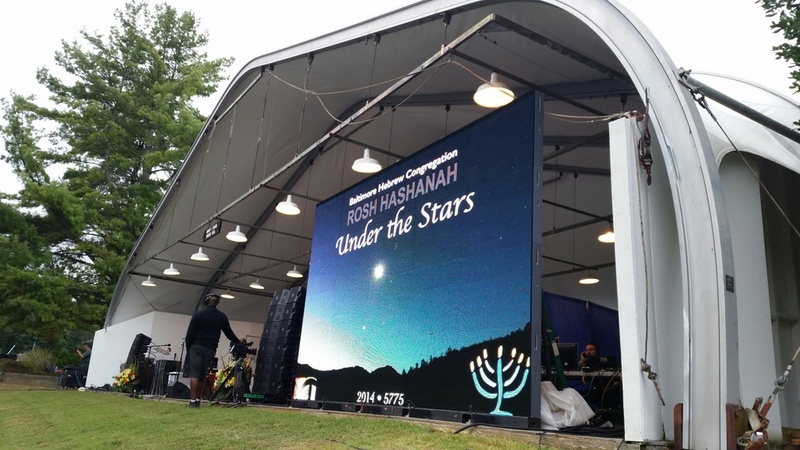 Rosh Hashanah Under the Stars is a Reform Jewish Religious Service sponsored by Baltimore Hebrew Congregation to be held at Oregon Ridge Park. Seating will be outside on the grass "Under the Stars." The service will be led by Rabbi Elissa Sachs-Kohen and Cantor Ben Ellerin of Baltimore Hebrew Congregation. Everyone is welcome! Attendance is open to the general public. No pets allowed. Do I have to be a member of Baltimore Hebrew Congregation? No, you do not have to be affiliated with Baltimore Hebrew Congregation or any other synagogue. Yes, you will be required to register online and your confirmation will admit you. 1. Online at rhunderthestars.com. Your online registration confirmation will serve as your ticket. Please bring it with you to Oregon Ridge. 2. Call the Rosh Hashanah Under the Stars hotline at 443-524-0284 and leave your name, address, email (if available) and how many attendees. For planning and security purposes we ask people to register in advance. Walk-ins will be welcomed the day of the event but will be asked to fill out information prior to entering. We encourage everyone to register prior to Rosh Hashanah Evening. Do I need to bring a prayerbook? No, Baltimore Hebrew Congregation has created a special prayer book for this service. 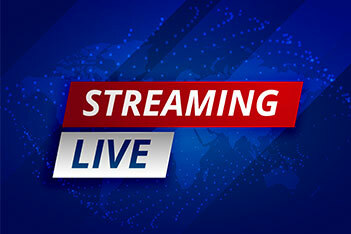 Prayers will be displayed on two large screens or can be downloaded in advance to your smartphone or tablet. Check back to download the service closer to September. Casual - it is recommended that you dress comfortably for walking, sitting and enjoying a picnic on the grass. The service itself will last about an hour, beginning at 6 PM. However, the gates will open at 4 PM for those wanting to picnic beforehand. How will seating be arranged? There will be no assigned seats. We suggest you bring lawn chairs, folding chairs or blankets as there will be none provided. Yes, there is handicap access to the stage and park pavilions. Will a Sign Language Interpreter be present? Yes, American Sign Language interpreting is provided. Adequate restrooms will be available for participants. The service will be held at 6 PM at Baltimore Hebrew Congregation, 7401 Park Heights Avenue. Limited seating will be available, and will be on a first come-first serve basis. How will I be notified if the service has been moved? Baltimore Hebrew Congregation will do everything we can to announce the change of venue. A notice will be posted on the web site rhunderthestars.com, on the Rosh Hashanah Under the Stars hotline 443-524-0284, and every attempt will be made to notify the public by radio and TV announcement. We will also send out an e-mail to registrants who have submitted e-mail addresses. Can I bring food to picnic? You are encouraged to bring food, blankets, etc. to picnic either on the grass or at the picnic tables. No, there will not be any food vendors at Oregon Ridge the night of the service. Yes, off-duty police officers will be there. How do I get to Oregon Ridge? To download directions, click here. INFO: rhus@baltimorehebrew.org, or call 443-524-0284 and leaving your name and number. Someone will return your e-mail or call within 24 hours. INFO: Rosh Hashanah Under the Stars, rhus@baltimorehebrew.org or 443-524-0284.